We are going all out with our knowledge of Bollywood to this event that will pit us against other Bollywood fans. Friends, go and tell them all about that obscure Govinda movie at this event. 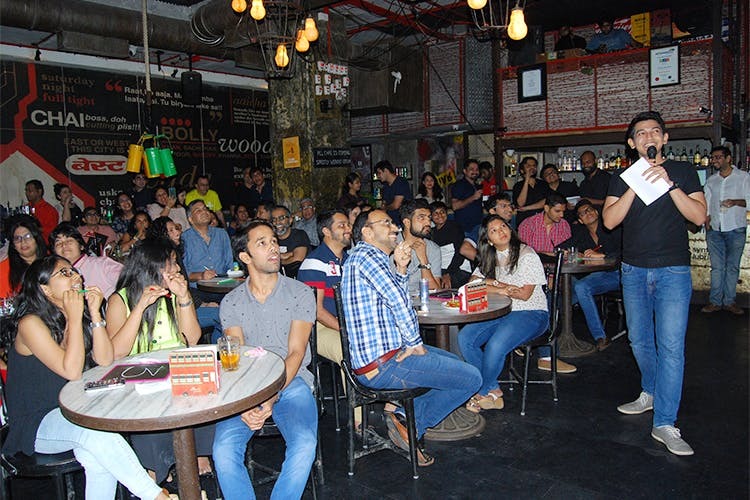 Bombay Bronx will be hosting a Bollywood pub quiz every Tuesday and will involve prizes worth INR 40,000. Yep. The quiz round starts with an AV Round, followed by a live musical round, written round, a buzzer round, ending with a rapid fire round. Anyone who can name all Mithun movies in a breath. Basically, ardent fans with sharp Bollywood knowledge. It’ll be a fun way to put your B-Town skills on display. The ones who play ‘chaiyya chaiyya‘ at every party, take a step ahead. There are prizes worth INR 40,000 up for grabs if you win the competitions. What more? The final round winner will get a free trip sponsored by The Bombay Bronx. Let that sink in. Channel your inner movies fan and head here. All you need to do is register yourself or your team by calling on +917710044666. There’s a cover charge of INR 300.